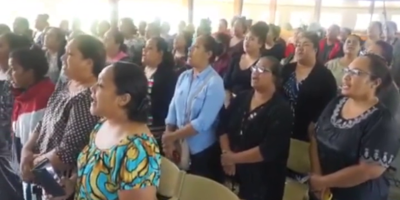 Tonga led the first prayer service of the World Day of prayer throughout the globe with dawn services in the main line churches and continue for the rest of the day. 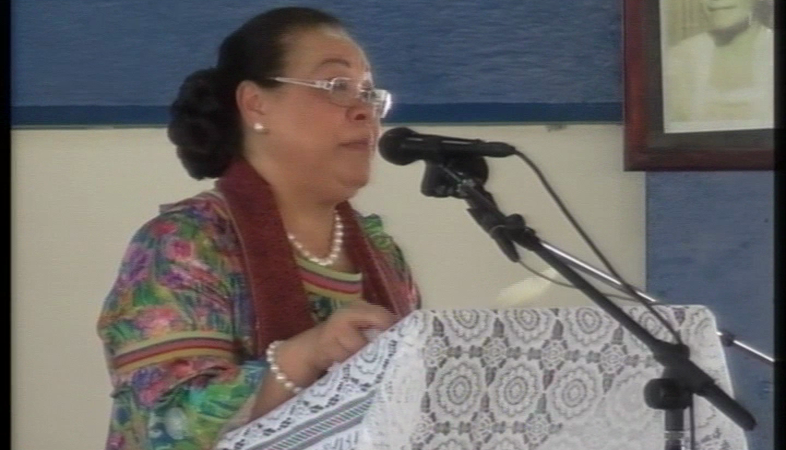 Her Majesty Queen Nanasipau’u Tuku’aho led the service to commemorate the World Day of Prayer in Tonga on the theme “Ha’u – ‘oku maau e me’a kotoa” – Come everything is ready. The inter-denominational service was held at Queen Salote College Hall on Wednesday with the College’s brass band leading the musical items and women leaders from the various churches participating. Her Majesty based her message on Luke 14, the story about the man who prepared a banquet and made invitations to certain people. The invitations were refused as they made various excuses. One just bought a piece of land, another just bought five yoke of oxen and the third just got married. Queen Nanasipau’u said the women of Slovenia who prepared this year’s world wide program emphasised that Everything is ready and there is still room for all. She said God’s invitation is extended to people in the streets and alleys such as those who engaged their lives with drugs. The father’s arms are open to bring them home and they are not required to bring anything. Just come as you are, God is more than happy to receive you. The world day of prayer was originally dedicated for women only but has been altered for over two decades now to include everyone, men and children who want to join.